On December 6th, 2013 at approximately 19:45 Hours a car traveling at a high rate of speed struck several other cars in the intersection of Utica Ave & Ave J in the Flatlands section of Brooklyn NY. The FDNY*EMS reported there were 6 serious injuries at the scene including st least one RED tag victim who was transported to Kings County Hosp in serious condition. 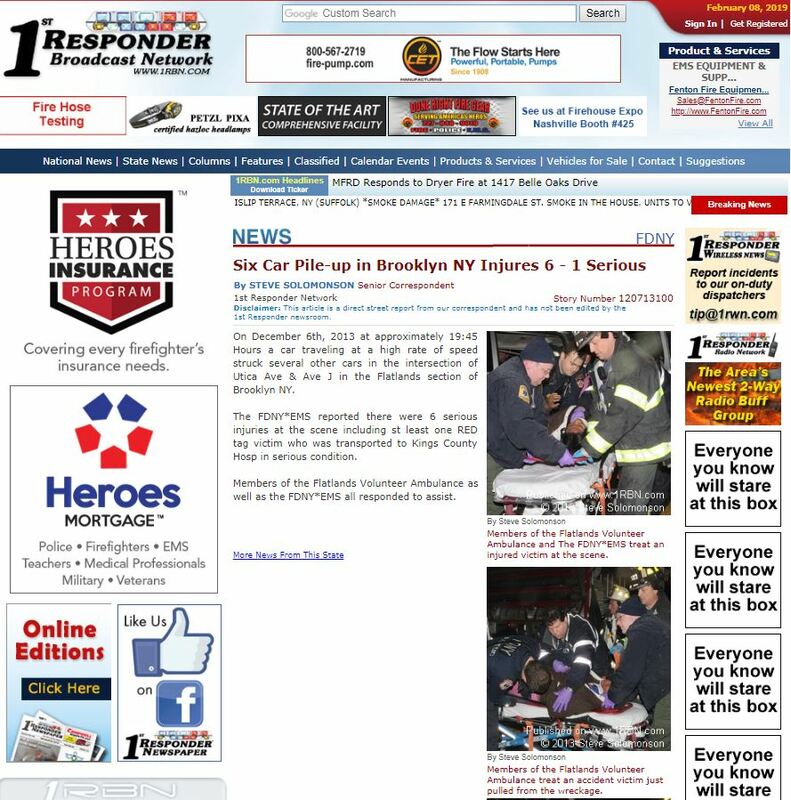 Members of the Flatlands Volunteer Ambulance as well as the FDNY*EMS all responded to assist.